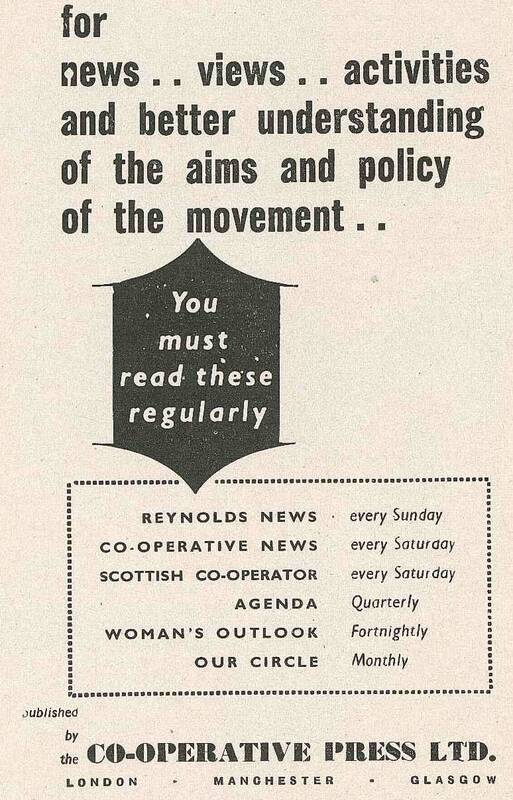 In March I am going to be doing a talk at the Rochdale Pioneers Museum about the co-operative women's magazine Woman's Outlook (published by the Manchester-based Co-operative Press between 1919 and 1967). 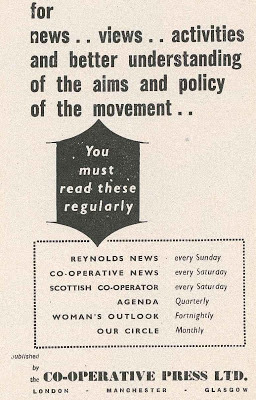 The magazine intrigues me because it blended news about the campaigning and educational activities of the Co-operative Women's Guild with tips for cooking, nutrition, child rearing and homemaking. I am trying to find former readers, or at least women who were members of the Guild at the time, to speak to. 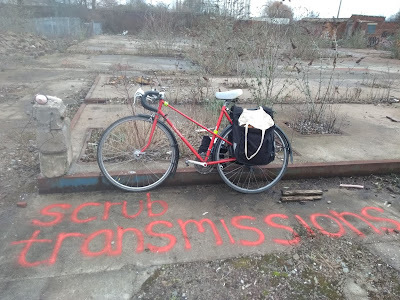 Lynette at the Working Class Movement Library got me the name and phone number of one woman, Pat Williams, who was willing to talk about her memories of being part of a Branch in Sale, Cheshire in the late 1950s and early 1960s, when she was in her late twenties and early thirties. She was also a member of a standing conference for women. Pat's mother was a co-operator and in the Guild before her, and Pat herself became a member of the Co-operative at the age of twenty when she got married and her new mother-in-law took her to sign up. Pat looked after her four children, and later ran a nursing home “on the basis of socialism and co-operation”. Now in her seventies, Pat is still politically engaged. She is a long-term member of the Labour party – she received a certificate from then-leader Gordon Brown when she reached fifty years of membership – and was still attending the Labour Party Conference until last year. She continues to be part of a Co-operative members' group in Manchester. Whilst Pat didn't read Woman's Outlook – in fact, she hadn't heard of it (although she has been reading the Co-operative News, also published by the Co-operative Press, for years) – I chatted to her on the phone for over an hour and it was a brilliant way of getting a sense of what it was like to be part of the Women's Guild, and what it meant to members, even in the 1950s and '60s when the Guild was an ageing organisation and membership was declining. Pat recalls that the Guild was “mostly elderly people” when she joined, and that “some of the elderly women were so active”, but that a new group came in of about six women in their twenties and thirties. Pat attributes the Sale branch's success to an “exceptional leader”, and remembers that branch meetings attracted around 30 members. There was also a branch in nearby Altrincham. Membership was made up of “all sorts” and “all ages” of women, from teachers and proofreaders to MPs' wives, although Pat recalls that many of the women were poor and bought secondhand clothes. Another important aspect of the Guild's work was to tell MPs how members felt about certain issues. Pat remembers that “it was a very interesting time”, saying: “There was always something going on. I can't remember everything we did but we were always very busy!” Campaigns undertaken by Pat's branch encompassed working hours, equal pay for women, the colour bar, anti-Apartheid, and banning additives in children's food. The branch also boycotted South African food. Pat remembers that one protest, calling for equal pay for women, involved going on an open lorry from a co-operative shop in Sale to one in Manchester, and that the women were shouted at by men in the street to get back to changing nappies! It seems that the members' opinions were sometimes taken into account by those in authority, though; Pat remembers that the Branch was consulted by the town clerk on the building of a new council estate, and asked what facilities were needed. 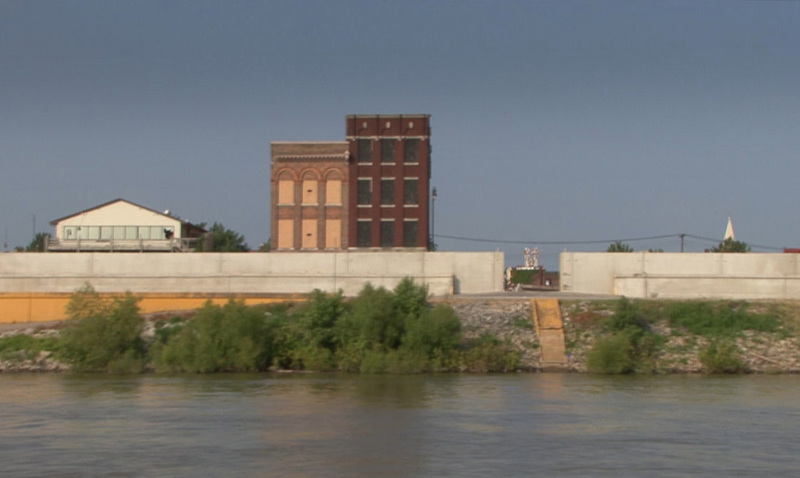 Where the wide Ohio river meets the vast expanse of the Mississippi stands the city of Cairo (pronounced Karr-o), Illinois. You would expect a settlement near two rivers to thrive and for a time it did, as a steamboat port, its prosperity reflected in its fine colonial-era architecture. Cairo could have become one of America's biggest cities, yet today it is derelict and all but abandoned by its population. Between Two Rivers, a new documentary by Manchester-based filmmakers Nick Jordan and Jacob Cartwright, sets out to tell the story of how Cairo has become a city whose only viable option for the future may be as a museum for a forgotten industrial past. 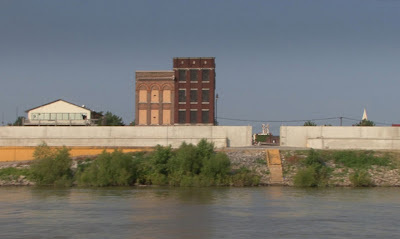 In 2011, during the course of filming, Cairo made the headlines as the US army blasted holes in a Missouri levee, controversially drowning fertile farmland in a bid to save the city from destructive floodwaters. 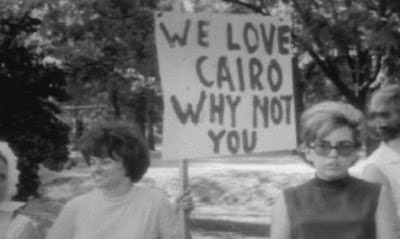 The film ponders on what in the city is worth saving, reminding the viewer that Cairo may have been spared this time but that its future is still far from certain. 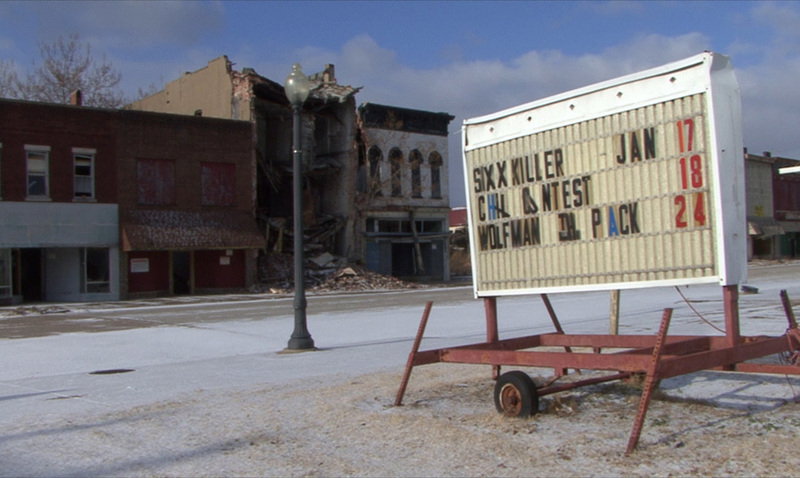 It is no surprise to learn that both Jordan and Cartwright are painters; Between Two Rivers is a painterly, poetic film, evident from the misty opening shots of silhouetted trees, submerged in a desolate river, to languid images of ruin and urban decay. But the film is far more a visual metaphor for the death of the American dream (as in the aestheticisation of the ruins of Detroit); it uses both interviews and archive film, such as footage of 1960s racial tensions in the city, to question the social, economic and moral order that has prevailed in Cairo and expose the inequalities of the American experience. The film also challenges the reliability of memory, and the tendency to hark back to a golden age which may never have existed – or at least not for certain sections of society. 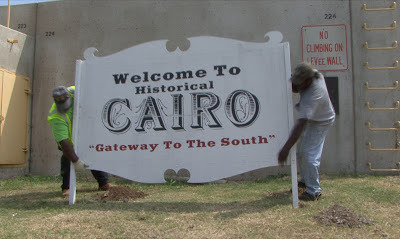 Cairo is like an island, a gateway between the American north and south that sits comfortably in neither. The city has historically attracted migrants from the margins of society, acting as a holding place for those who are too poor to move on elsewhere. There's a sense that Cairo's precarious situation cannot be attributed just to acts of nature, but that human attitudes and actions have contributed to its decline. 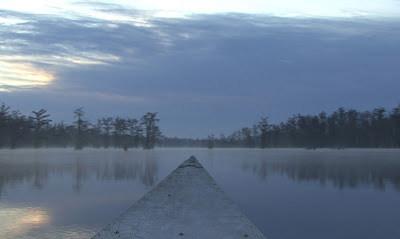 The filmmakers spent four years making Between Two Rivers, and getting to know a range of interviewees, from a former senator and congressman to members of a local soul band and a purveyor of fresh fish (who suggests she provides a lifeline to those subsisting on welfare). 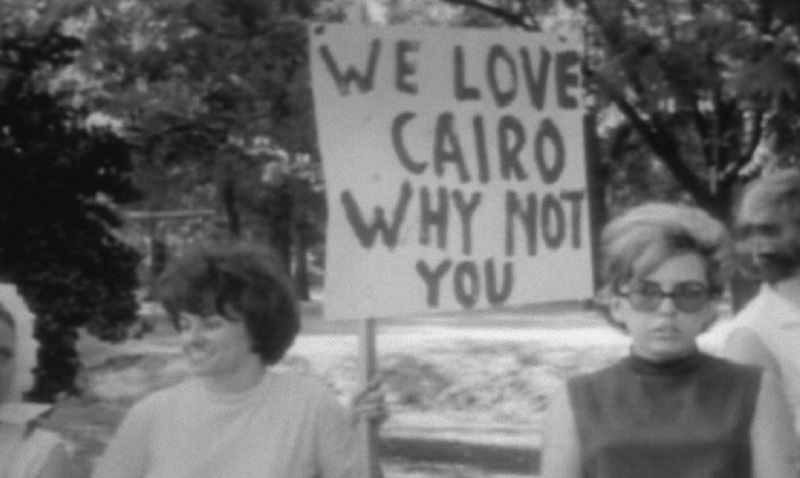 The most striking aspect of the film is the pride expressed by those who call Cairo home, and the hope they cling on to for the city's future, despite all odds. 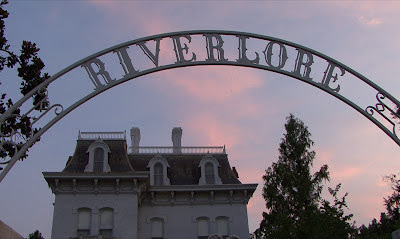 There are some people, at least, who are not going to give up on Cairo too soon, and Between Two Rivers goes some way to explaining why. Between Two Rivers is currently screening at film festivals. To keep an eye on upcoming screenings visit www.betweentworivers.net.